All aspects of tree and hedgework carried out to the highest standard! 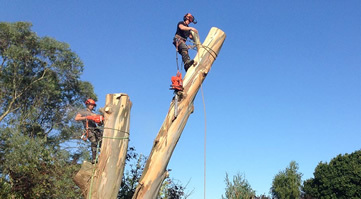 Mattree Professional Tree Care are based in Banstead and our company, established in 2004, is a trusted service provider for domestic and commercial clients throughout Surrey. We are members of the Arboriculture Association and the International Association of Arboriculture. Our professional workmanship and friendly approach to customer service has helped us build a strong reputation throughout our local area. We cover a wide radius of our home in Banstead and work conscientiously at all times. Our tree surgeons cover local areas including Sutton, Carshalton, Kingswood, Tadworth and Banstead. All tree surgery and hedge cutting work is performed tidily. Once we have completed a project, we remove waste from your property and recycle removed limbs and branches to create woodchip. This ensures gardens are always left in pristine condition. Mattree Professional Tree Care offer free initial arboriculture inspection and detailed written quotations. We can perform work on an emergency basis and already have a large customer base made up of domestic and commercial property owners throughout Surrey. Call us now on (01737) 377612 for a fast and friendly response. 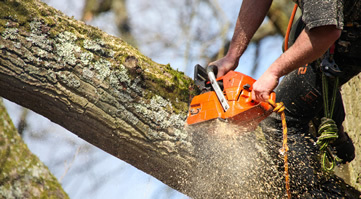 Property owners in Banstead should have trees examined regularly by a qualified tree surgeon. We believe that regular inspections are vital in promoting good tree health and identifying problems at the earliest opportunity. The use of continuous tree care and remedial tree surgery maintain a healthy appearance that is free from disease. All work undertaken in the Surrey area safeguards the health of mature trees and reduces the risk of danger to the public. 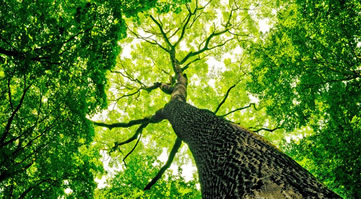 Mattree Professional Tree Care can assign a tree surgeon with sufficient experience and qualifications to care for the surrounding ecosystem, preserve wildlife and minimise disturbance to your garden. It is our ultimate aim to provide complete tree care and hedge cutting services for clients in Banstead and all major locations in the surrounding Surrey area. Potentially hazardous work such as tree felling is performed using approved safe working practices. Much of the work we do comes through repeat business and customer recommendations.